ADCIRC Modeling in support of the SSPEED Center proposed Galveston Bay Park. Video shows salinity transport under high flow conditions from the Trinity and San Jacinto Rivers with the Galveston Bay Park in place. Forecast based on NHC forecast winds Advisory 26 at 8/26/17 16:00 CDT. 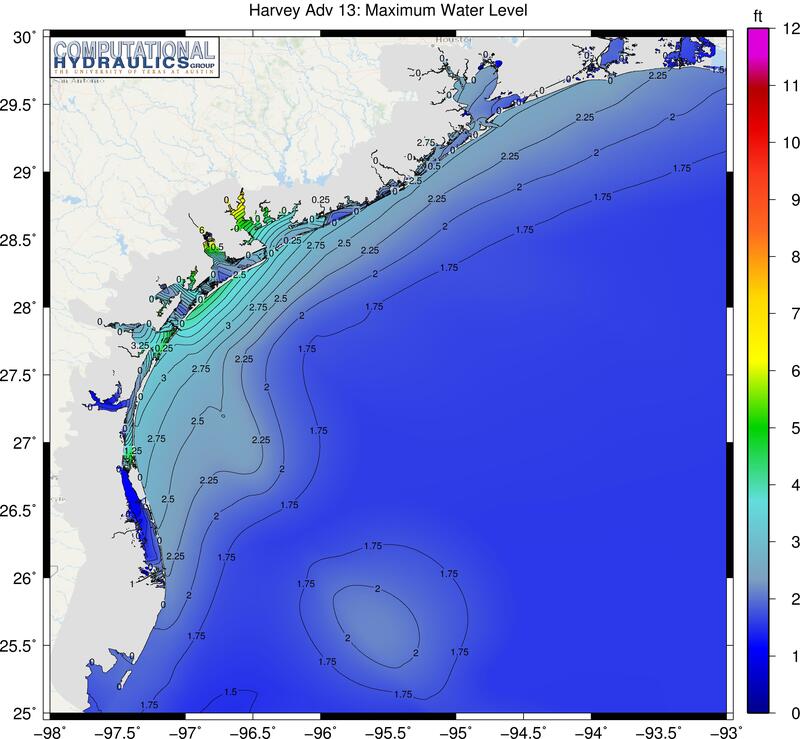 This forecast is generated using the ADCIRC+SWAN Surge Guidance System (ASGS). These results are not an official forecast. For the official forecast please visit the National Hurricane Center website. These results are generated through collaboration between UT Austin Institute for Computational Engineering and Sciences (ICES), the Texas Advanced Computing Center (TACC), and the Center for Space Research, the University of North Carolina-Chapel Hill, Seahorse Consulting, and the Louisiana State University Coastal Emergency Risk Assessment (CERA) Center. For more ASGS results you can also visit the CERA website http://cera.cct.lsu.edu. CHG also acknowledges funding from the National Science Foundation, the Department of Homeland Security Coastal Resilience Center of Excellence, and the Severe Storms Prediction Education and Evacuation from Disaster (SSPEED) Center. 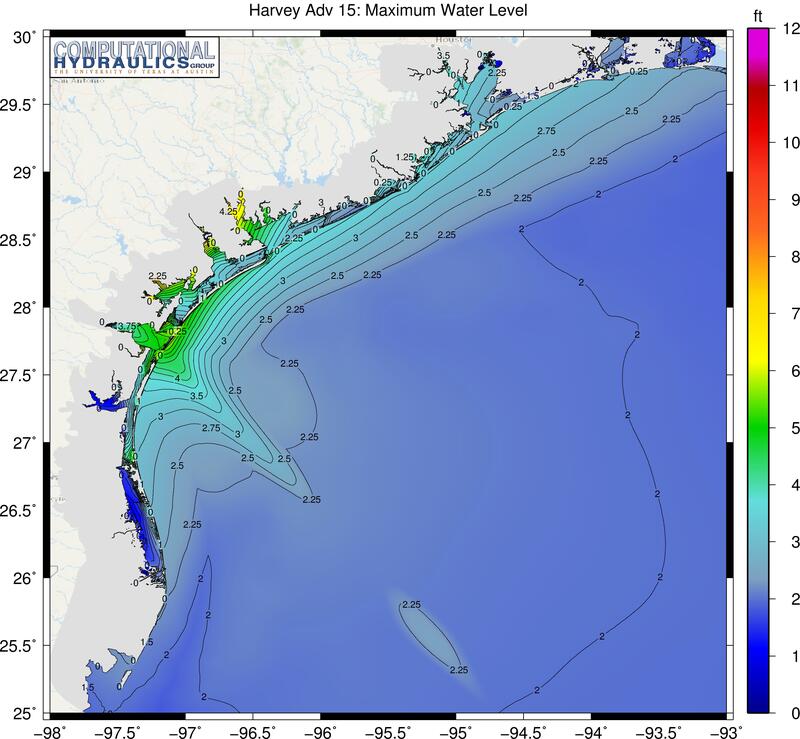 The Computational Hydraulics Group (CHG) at The University of Texas at Austin is a leading research center in the modeling of aqueous environments, including problems related to shallow water hydrodynamics, hurricane storm surges and groundwater pollution. The group focuses on the development and analysis of numerical algorithms for multiphysics, multiscale flow and transport problems, and the implementation of computational methodology in efficient, scalable, parallel software. CHG is housed in the Institute for Computational Engineering and Sciences. 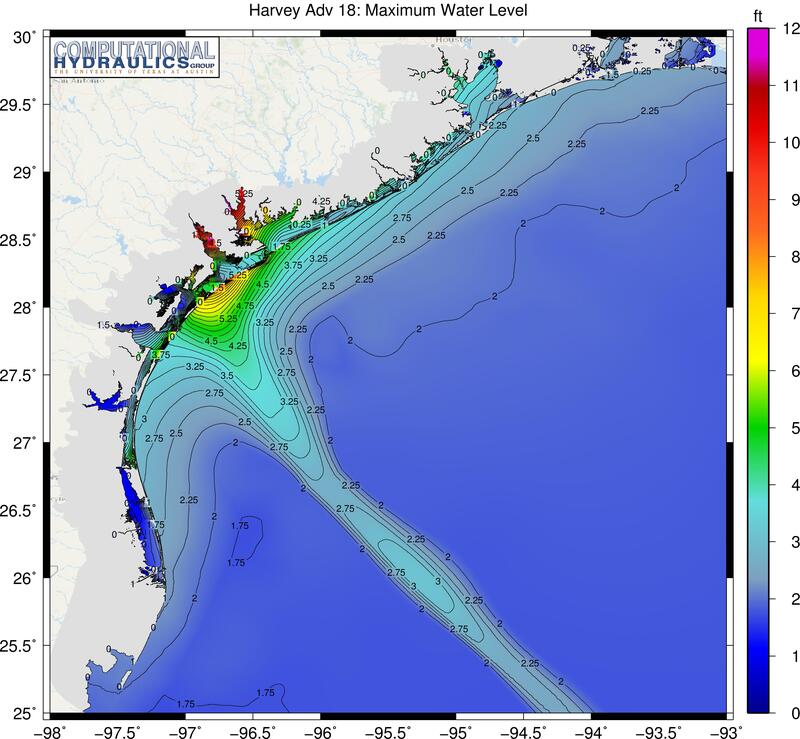 CHG's recent efforts include investigation of high-resolution algorithms based on discontinuous Galerkin finite element methods. Methodologies are being implemented and tested on a variety of computational platforms, from workstations to petascale parallel computers. Our parallel simulators are scalable to tens of thousands of processors. CHG researchers are part of the multi-university ADCIRC (Advanced Circulation) development team. 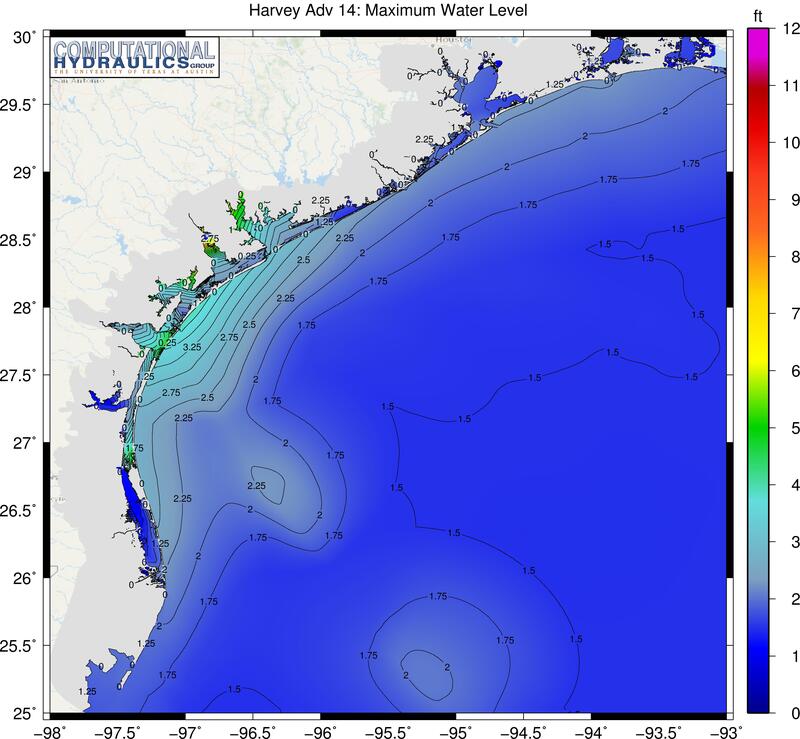 ADCIRC is a modeling framework for shallow water hydrodynamics, with applications to hurricane storm surge modeling, coastal sustainability and development of hurricane protection systems, and modeling of coastal environments. 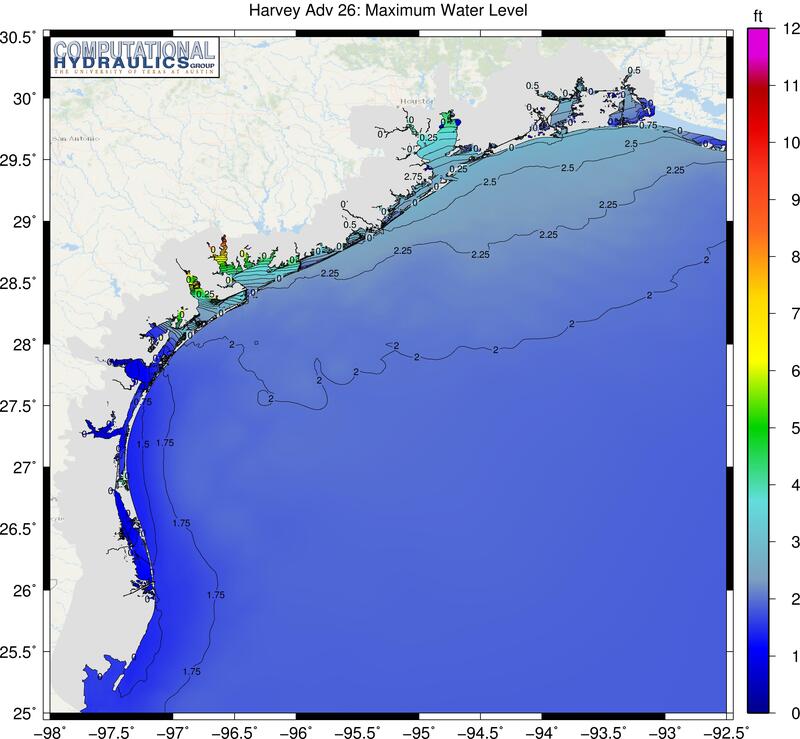 In addition, we develop "next-generation" simulators with the long-range goal of performing high-resolution, operational real-time forecasting and hindcasting. In addition to developing numerical methods for PDEs, CHG performs research in data assimilation and parameter estimation, using variational methods and ensemble methods. 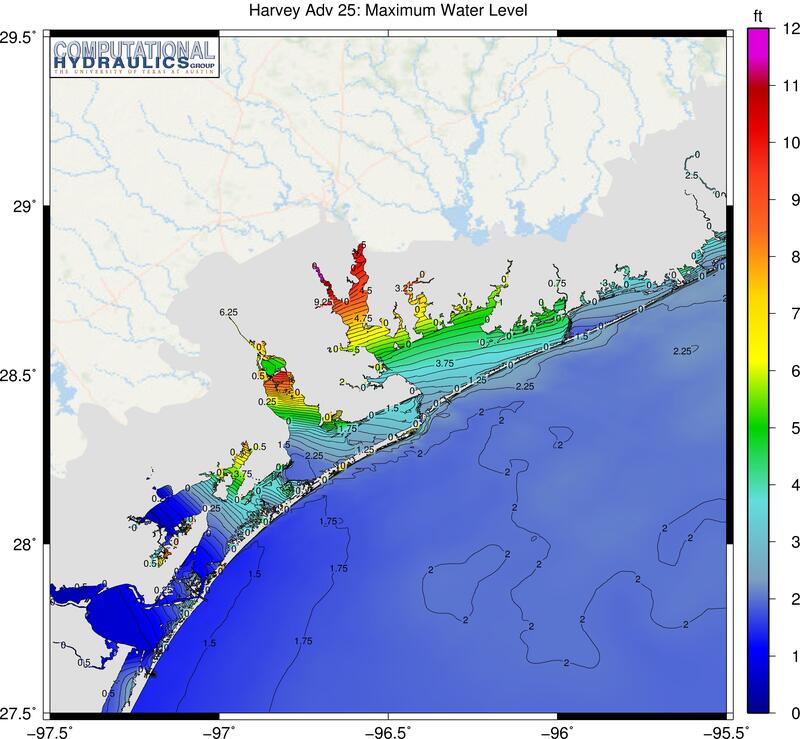 These algorithms are also being applied to problems in groundwater and surface water. 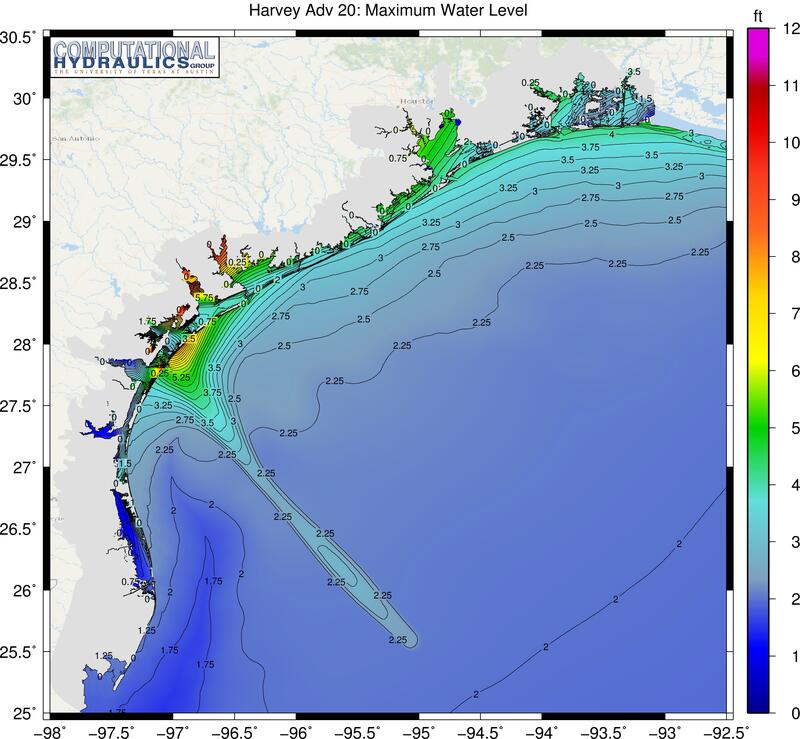 CHG recognizes the following agencies for their support: the National Science Foundation, the Department of Defense PETTT program, the Army Research Office, the Department of Energy, King Abdullah University of Science and Technology, the Department of Homeland Security Coastal Resilience Center, the SSPEED Center at Rice University, and the Gulf of Mexico Research Initiative Consortium for Advanced Research on Transport of Hydrocarbons in the Environment. The Computational Hydraulics Group is housed in the Peter O'Donnell Building, located on The University of Texas at Austin campus. This is a state-of-the-art facility that supports interdisciplinary research and graduate study in computational science and engineering, mathematical modeling, applied mathematics, software engineering and computer visualization.